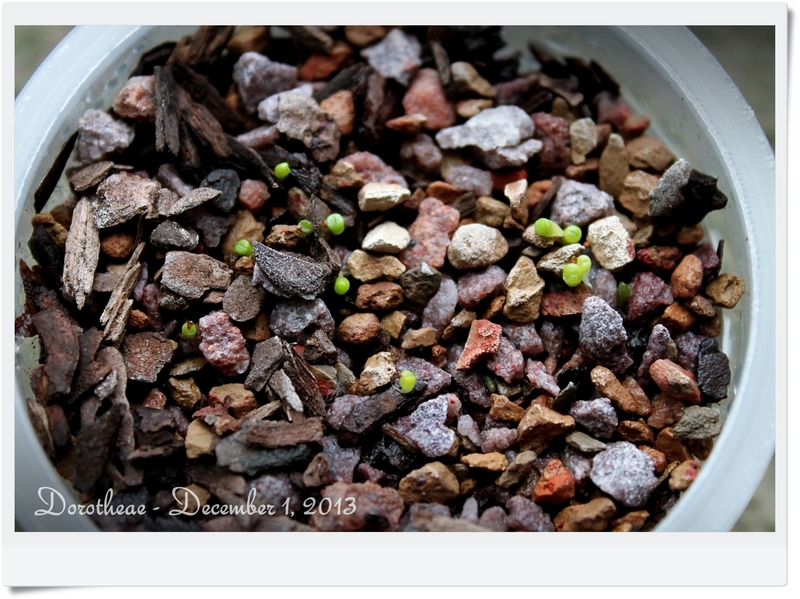 And finally, an update on the new seedlings. 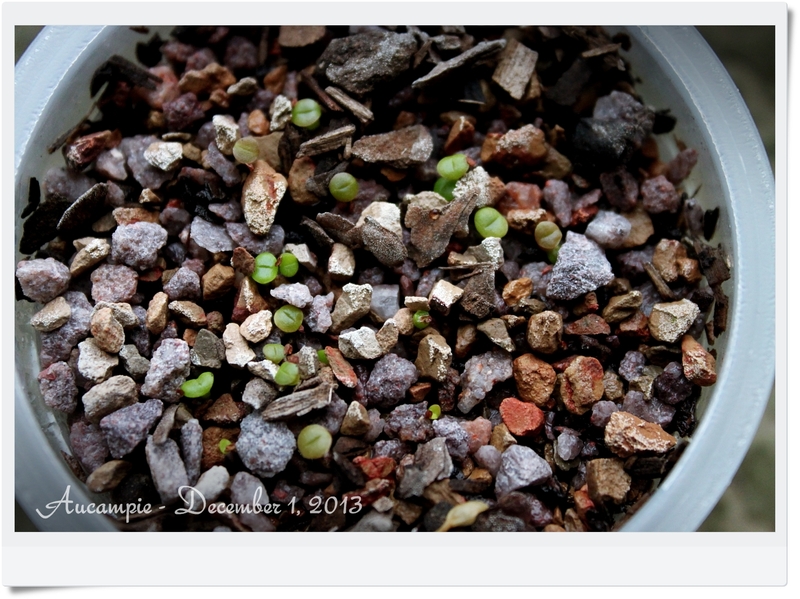 At this point, I will say that I will not be growing seedlings using this method anymore. The bark in the soil mix has gone moldy in the humid air that is trapped under the plastic during germination. The plastic is now off and I’ve increased air flow around the pots to try to prevent the mold from becoming a huge problem. 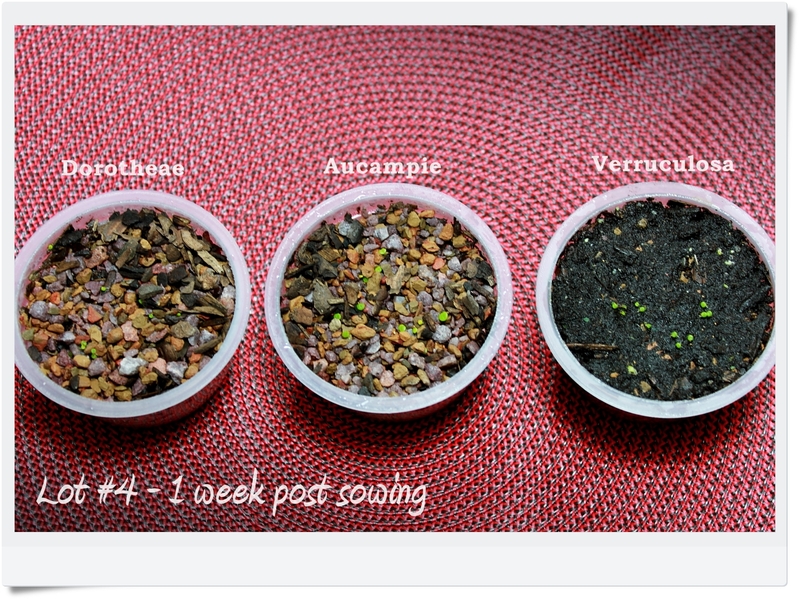 The soil I topped the third pot with was too heavy and I have lost a couple Verruculosa seedlings to dampening off. It just doesn’t dry quickly enough and becomes quite saturated by even a fine mist from my spray bottle. I also had a very hard time getting the seedlings to anchor to it and spent much time trying to prop them up and build a little mound of soil around them. I think these ones will be okay now, but I’m very guarded in how I treat them. 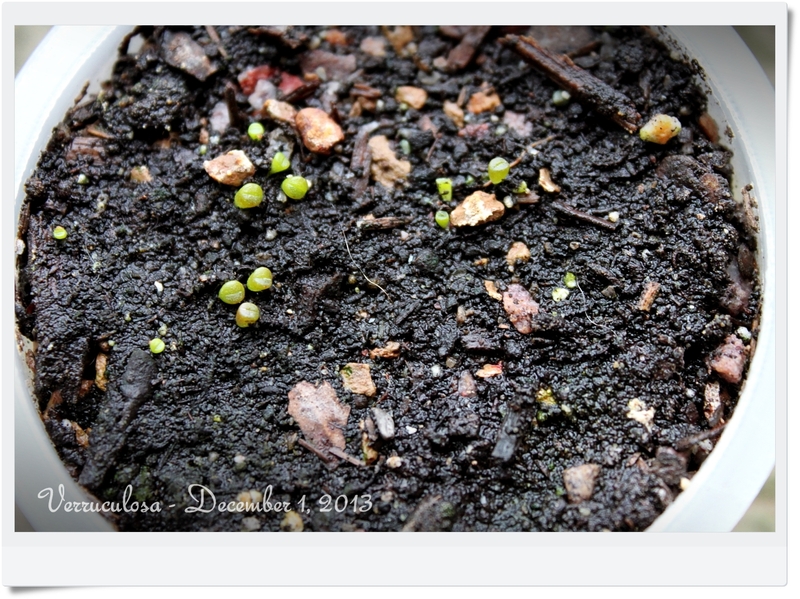 Anyway, this was an experiment and it has confirmed, in my mind at least, that my original method of germinating seedlings was the best (clay pots and sand mixture). I’m still hopeful these seedlings will do well, it’s just been a bit more of a headache than I had hoped.